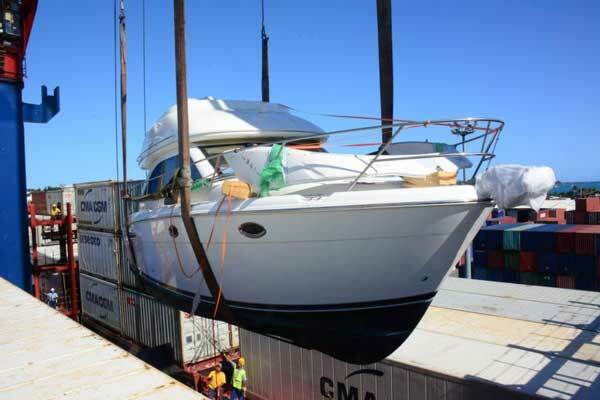 At Boat Export we want to make every aspect of shipping your Yacht or Boat as easy as possible and here at Boat Export, we can handle all aspects of the shipment of your boat internationally. We can make arrangements for a waterside removal; have your boat picked up from the Marina, Dealership or from any location within the U.S. and deliver to the port of departure. Boat Export offers you the best boat transportation solutions available with a tailored service to meet your needs. In addition to transportation and shipping, Trans Global offers services, such as cradle building, arch, mast, radar removals, winterization, shrink wrapping, virtually any service needed, that will help you prepare and secure your vessel for its journey. This is a must have in the EU for all imported boats. While some boats and engines are already equipped with this marking from the USA, it is necessary to make sure that if it is done all the paperwork and appropriate markings are included. With the growing rate of CE fraud in the EU we work only with an International Marine Certification Institute (IMCI) approved and authorized company (Marine Point), that will insure that the CE Marking you receive is both legal and compliant to all rules and regulations of the EU. IMCI is Headquarted in Belgium and you can visit their website for the latest information regarding the CE Marking. The customers of IMCI will be able to show compliance and display the CE-mark on products which are covered by the Recreational Craft Directive 94/25/EC as amended by Directive 2003/44/EC. This allows the free and open access to all 27 countries of the European Union. The cost of the CE Marking varies from boat to boat and in some cases changes will need to be made in order to meet the requirements and receive the CE marking. The costs of the CE Marking are paid directly to the headquarters in Belgium. One of the great things about having the CE Marking done before the boat leaves the USA is the ease of registration and import into the EU once the boat arrives to its final destination. In some instances it can also save you on your import taxes and duties.